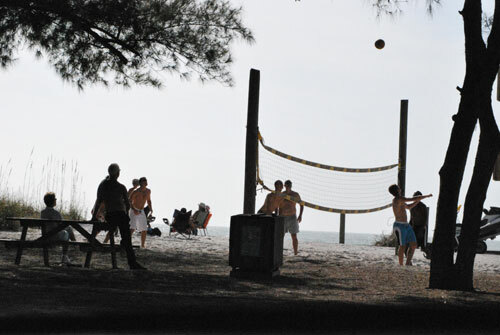 green REAL ESTATE OF ANNA MARIA is located on Anna Maria Island, Florida. Dedicated to preserving "Old Florida" flavor, Anna Maria is situated just South of Tampa Bay on central Florida's tranquil Sun Coast. Anna Maria Island is surrounded by the warm turquoise waters of the Gulf of Mexico, sugar white sand beaches, and is adjacent to the Intracoastal Waterway. Come to our picture perfect paradise, and experience Florida the way it was created -- quiet, nurturing, and renewing. Our staff of full-time Realtors are knowledgeable, friendly Island specialists with over 50 years combined experience helping folks fulfill their dream of living on our Island in the sun. green REAL ESTATE offers Preferred Properties for your personal lifestyle. Whether you are searching to relocate and purchase a residence, seeking sound investment property, or want to rent a unique vacation getaway, come to our picture perfect paradise -- Anna Maria Island, Florida. We'll help you restore your being and fill up your spirit.